On December 2nd Elon Musk announced an unusal payload for the planned January launch of the Falcon Heavy reusable launch system. When the private company, Space X, launched Falcon Heavy yesterday it had technical aims: to demonstrate the launch of a heavy payload out of earth orbit and land the booster rockets so that they can be reused. But it was also advertising for Space X, and for its founder, Elon Musk. 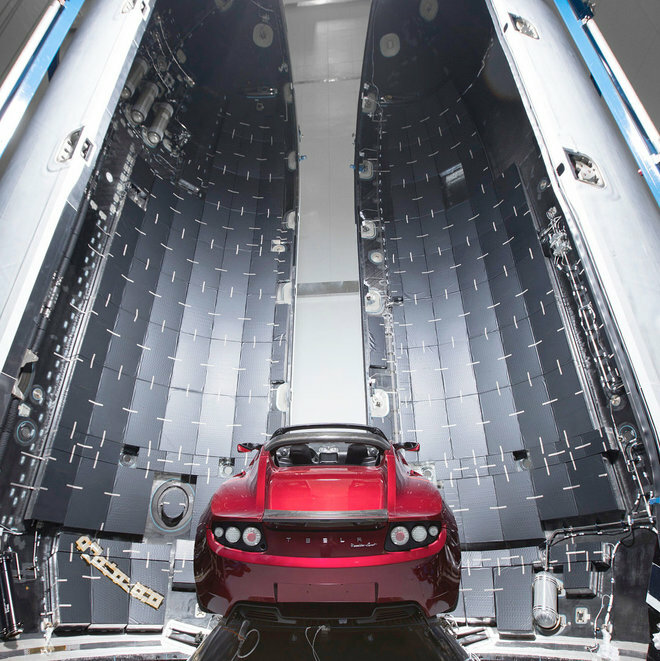 So the payload sent was a red Tesla roadster with an empty spacesuit in place of a driver. The technically complex and ambitious launch with the publically exciting staging of the ‘Starman’ inspired many people to say ‘we’re living in the future!’. Inevitably, some people loved the roadster launch and some people hated it. While some people felt that Musk had made space cool again (something which happens with alarming regularity). Others felt that it was a sign of the worship of excess worthy of a villain from a Bond movie. 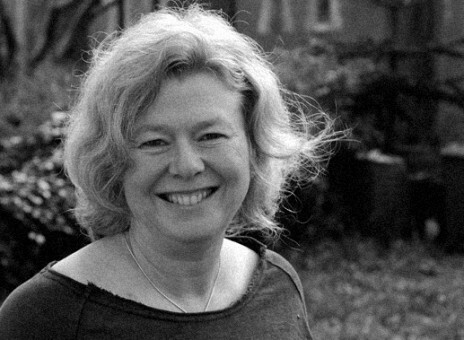 Alice Gorman has looked at the car from a symbolic perspective, noting that the red sports car is often associated with ‘mid life crisis’ in men – and can be a symbol of lost youth and virility . Gorman also discusses it in relation to another non-technical launch recently – the humanity star. This ‘glitter ball’ has been launched into orbit with the sole purpose of reflecting light so that it can be seen. Many responses have considered it to be vandalising what should be a ‘natural’ place and, perhaps contradictorily, taking up orbital space that should be used for scientific and technical functions. Is space a pristine wilderness? Is space a zone of science and technology? Is there room for art, personal expression and heritage in space? 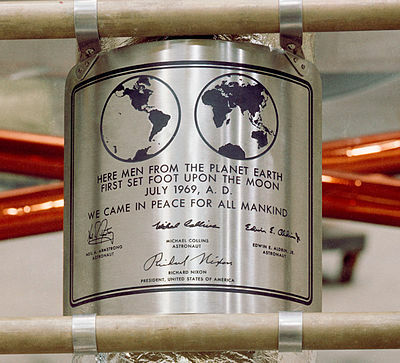 Heritage has always been an integral part of space exploration. When Neil Armstrong took that giant leap for mankind, he planted an American flag on the moon. While that flag was destroyed by the lander blast when they took off, all five subsequent flags survive . When the Voyager spacecrafts were launched on their journey out of the solar system, our partner Jon Lomberg was part of a team to include a message from earth for any beings that might find it. Heritage creates space as a cultural field. Alice Gorman has also reminded us that space heritage, like heritage on earth, includes the unintentional remains of our activities as well as the statement pieces that we would like to be remembered by. What distinguishes space heritage is that we can believe it will outlast us – the billions of years Musk invokes in his December tweet are a draw. One strand of the Uncertainty theme in this project is looking at the messages that people send to deep space. Working with our partners One Earth Message, we are exploring how people choose what to send when they want to represent humanity. So what interests me in this story is not so much what do we choose to send, but how do we make that choice. In the case of both the sportscar and the glitterball (as Gorman has dubbed them) we are left with the impression that they are the result of one wealthy man’s enthusiasm. Their desire to see themselves, or humanity, in space. This narcissism is at the root of many of the negative reactions described above. But there is always narcissism in heritage – the desire to codify social and cultural value and ensure that it persists beyond our lifetime. That narcissism is only acceptable if it is shared. Wanting people to remember me forever is arrogant, wanting people to remember ‘our culture’ is acceptable, honourable even. The difference between them is in the practices of selection. A quick run through the selection processes of how the material for space messages has been selected shows that most of them were selected by a small group working with an institution. The Voyager message ‘The sounds of Earth’ was selected quickly by a small group of men working with the science communicator Carl Sagan. They compiled and produced the record in six months. Contributor Timothy Ferris recently recalled: “We’d comb through all this music individually, then meet and go over our nominees in long discussions stretching into the night. It was exhausting, involving, utterly delightful work”. Subsequent NASA approved messages include Jon Lomberg’s compilations for ‘Visions of Mars’ which flew on the Phoenix spacecraft and landed on Mars in 2008. Jon discusses the long negotiations for that disk here . The small team gave close consideration to what literature and art describing Mars would be inspiring to future astronauts who might land there. They also considered the preservation environment in some detail. There have been unapproved inclusions, the most well known of which is ‘fallen astronaut’ a small aluminium statue left on the moon but all of these artefacts were selected by small groups, mostly working with artists. More recently there have been messages created by larger groups, once again self selected through various programmes of crowd sourcing (like the #GoodbyePhilae messages I discussed here). Jon Lomberg’s experience with small groups led him to work with crowd sourcing for his new work with One Earth Message. He is particularly concerned that the process for this selection be more representative. Any one on earth can submit an image for inclusion but because the message must be small to be uploaded, it needs selection and he has assembled a steering committee to help make that selection. Our Co-I, Cornelius Holtorf, is on that committee and this may be one of the few instances of someone who studies heritage being involved in the selection of space heritage. The designation of something as heritage here on earth is firmly controlled by procedures and often legislation. But perhaps space heritage is more akin to the erection of statues here on earth, something heritage professionals rarely have a say in. Both terrestrial and space heritage are taken as representations of all humanity, but rarely do most people have a say in how either is constructed. 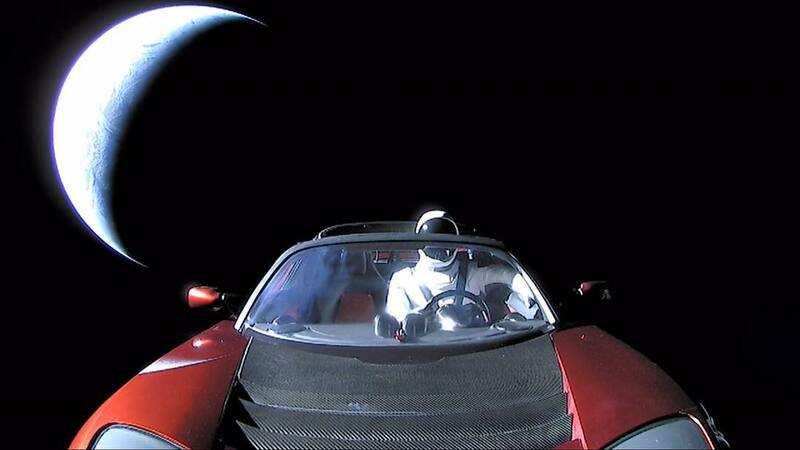 Is the ‘starman in the roadster’ an achievement for humanity? Musk’s tweet from December indicates that he thinks that the car will, like the Voyager disks, outlast humanity and speak for us into eternity. But he has made no attempt either ensure that it will last or to make that statement comprehensible. In fact the full suite of popular culture references in the object are probably only comprehensible to a very small set of Americans even today. We are the real audience for this heritage, and the message is power. Musk’s business may not do well from the excess but his personal mythology is booming. An individual has the power to choose what is sent to space, the billions of years he envisions are just a frame to draw our attention. Eternity deployed as Clickbait.